Seniors & Affordable Housing; G.T.A Rental Vacancy Rates now < 1% #TREB #GTA #RealEstate - Accurate (Peel) Appraisals Inc.
Canada`s average home price is now just shy of $500,000. Toronto`s average home price remains near $900,000. These inflated prices mean that an individual or a couple must spend > 8.5 times their annual income to afford a modest home in the GTA. 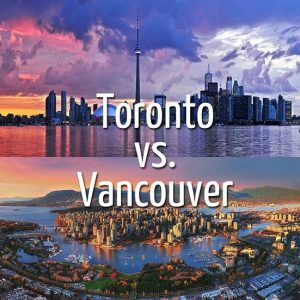 Fear not, Toronto pales in relation to Vancouver. Where an average home will cost 11.2 times your combined income. Comparatively speaking, the median Toronto home in 1985 cost approximately $32,000 which represented 3.41% of the median family income. What a dramatic change in roughly 30 years ! What to do ? Buy a condo at an average $700 per sq. foot charge. Perhaps there is another option to consider? If we can honestly conclude that there is & will be a chronic shortage of affordable rentals, especially with the dismantling of the OMB. Plus acknowledging that the average home in an urban enclave is now financially out of reach for the average wage earner. Could seniors who still reside in their homes be the undernourished panacea to this burgeoning problem ? 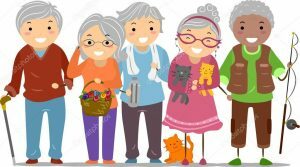 Factually, many seniors live alone or find their properties to big to maintain indefinitely..Seniors now constitute the largest segment of society. What if the federal or provincial government encouraged banks to loan funds at ultra low rates to seniors, say <1%. Who want to convert their homes into a legal duplex or triplex ? This could be incorporated under the auspices of Ontario`s Bill 140 as to best assure that the work is done to code & architectural specification. These deluxe in-law suites could be rented at modest rates with a spin off in promised chores being included, as an offset against monthly rents. Seniors would benefit from having additional adjacent company. Their properties would escalate in value with the added attention & renovations. Mature neighbourhoods would quickly become rejuvenated. 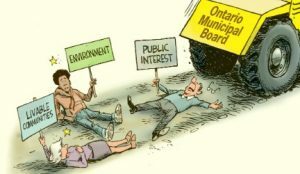 Municipal coffers could be expanded ! Senior services could be modestly augmented. (transport & home health care visits). Most importantly seniors would garner an new sense of independence assisted by their new found income stream. This small re-positioning on municipal density issues within our communities could be a real stimulus for the local economy. Legions of professional contractors would be kept busy , legal aides by structuring bona fide leases, local schools, community centres, shops and the banks would be immediate beneficiaries of this initiative. Last but not least we would be incorporating & empowering a most underrated, yet populous segment of our society. The time has come to advocate for change ! Keep in mind that this is election season, so Please petition your local political representative ASAP to demand progressive change in our villages, towns & cities. certainly the obvious.. use better the resources we already have !! Be creative ! I really do not understand why the developers, the municipalities, the governments are so stale and uninventive. Except of course, that “they” are invested in lining their own coffers and are not thinking good for all.